My latest article is now up on PopMatters: Spatial Expectations and Their Effect on Our Experience of Game Worlds. The inspiration from this article comes from the Wired article I mention in the piece that describes Jerusalem syndrome, a temporary psychosis that affects mostly devout christian tourists to Jerusalem. After looking into it, I also bumped into information about Paris syndrome and Stendhal syndrome. These bizarre pyschological experiences may seem like outliers, but I find it incredibly interesting that anyone could find an environment so in line with their imagined sense of place or, alternatively, so discordant, that their mind reacts in such extremes ways. As I see it, these syndromes are intimately tied to the pre-conceived notions about spirituality, atmosphere, and space. I can't imagine ever succumbing to the syndromes described in the article, but I find it telling that we have the capability to so strongly imagine a place that our reactions are profoundly changed by these expectations. When I think about game spaces, particularly those we hold dear, it is no wonder some games are so effective. I cite Fez and Batman: Arkham City as examples, but I am sure you all have your own examples of spatial expectations. We can certainly point to the Assassin's Creed series as an example. I played Brotherhood shortly after visiting Italy myself and the architecture of the city so closely mirrors it's real world counterparts that I found myself revisiting my favorite parts of the city just to take a look around. The plot of the series often borders, or crosses over into, the absurd. I think the world-building efforts of the team goes a long way in justifying or at least glossing over the game's ludicrous story arcs. This is one of the reasons I am nervous about Assassin's Creed 3. I have no familiarity with the East Coast, and certainly not its revolution-era architecture. At the very least, I may not find the story as compelling if my spatial expectations established by the series are not met. I have the same idea on this topic. My experience in Italy and Istanbul definitely increased my fun in Assassin's Creed II, Brotherhood and Revelations. 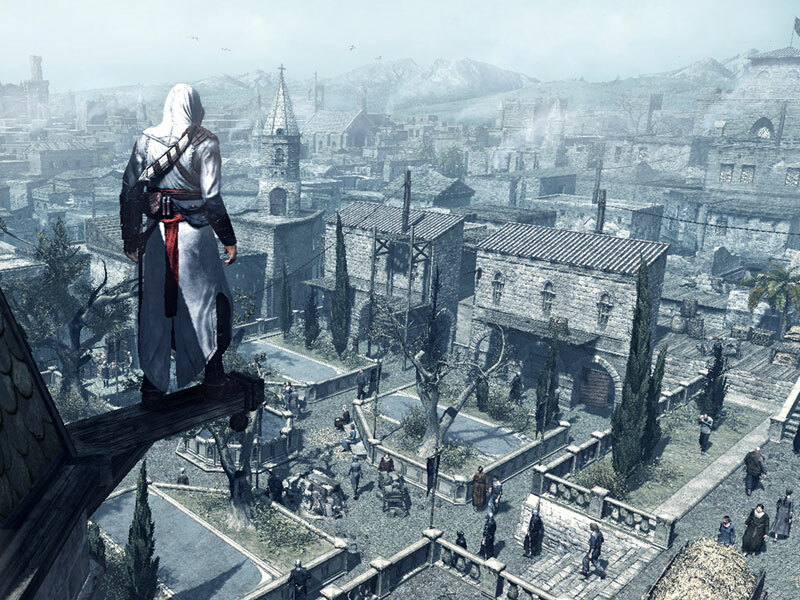 As I haven't been in Jerusalem or Damascus or any other part of Assassin's Creed, I didn't experience it as thorough as in the other AC's. The same can be applied on Call of Duty. Paris and London were just awesome to experience ingame.You've seen the cities and it's just another way of getting back the memories. Thanks Jeffrey! I completely agree re: Call of Duty. In fact, I think they were going for a similar Paris-syndrome-effect at E3 when they showed gameplay footage of terrorists turning Downtown Los Angeles to ruin. Unfortunately it didn't work on me. I already consider Los Angeles a wasteland.